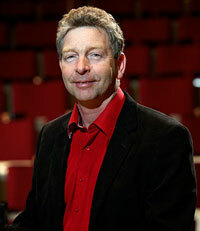 Timothy Dawson has been a member of the Toronto Symphony Orchestra since 1980. At age 21, upon graduation from the University of Toronto, he became the youngest member of the TSO at that time. 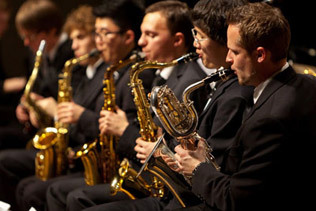 He has played under music directors Sir Andrew Davis, Gunter Herbig, Jukka-Pekka Saraste, and Peter Oundjian. Over the years Timothy has been instrumental in starting several chamber music groups. One of them, the Bach Consort, continues to this day. This group now performs an annual presentation of J. S. Bach’s Christmas Oratorio. This ensemble is inextricably linked with charitable causes thus its mantra ‘Giving Bach to the Community’. The Bach Consort has been an artistic success, performing with conductors like Bernard Labadie, Nick McGegan, Dame Jane Glover, Yannick Nézet-Séguin, and Harry Bicket. The Bach Consort has been an important community presence as well, raising over $400,000 for local charities over the last 20 years. Timothy also organizes concert series at two churches in Toronto’s east end. He is music director of the Kingston Road Village Concert Series and the Seicho-No-Ie Chamber Music Series. Teaching is a big part of Timothy’s life. He is busy at the University of Toronto, the National Music Camp of Canada, and in his own home studio. For twenty years he was involved with the TSO Adopt a Player programme, acting as the music director for its last three years. Timothy lives with his wife Kim in the Beach, and together they enjoy their active family life.